bailey unleashed .com: happy monday everybody! "how was your weekend? mine was spooktacular. BOL"
Labels: afghan, bailey, candy corn, photo by j. 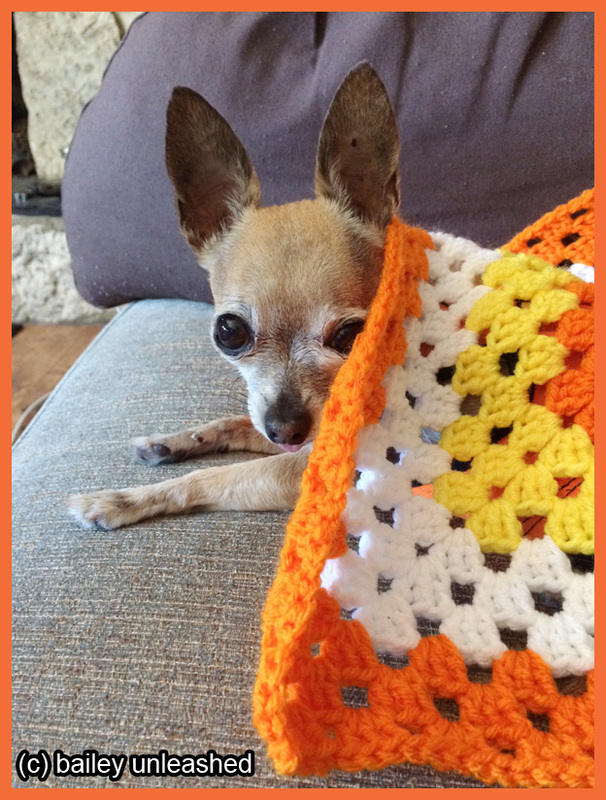 Love your blanket! Looks like candy corn!